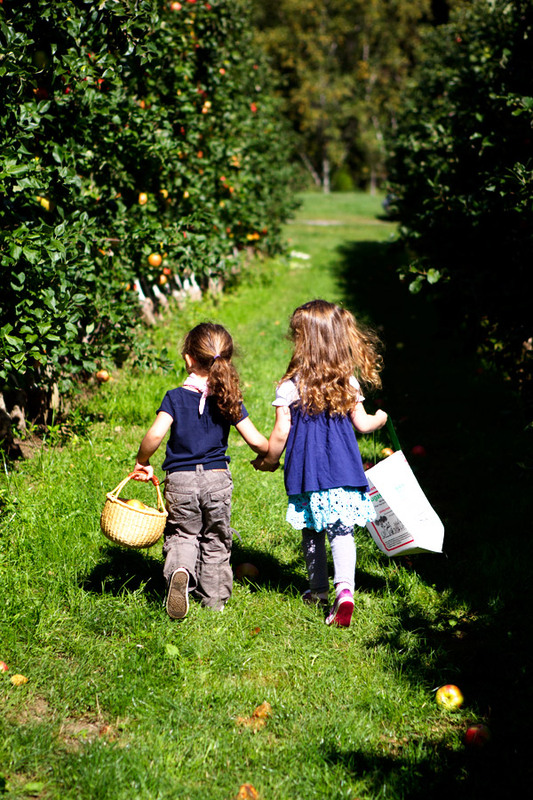 Pick apples with friends, share an impromptu picnic, and have our three-year old girls holding hands. Feeling they are young and innocent. And happy to feel alive. I felt sorry to have missed you at Book Larder in Seattle. Perhaps next time you are in town or in BC I can finally meet you! The girls look so cute, apple picking is such a lovely activity for them to do together. J’aime beaucoup cueillir des pommes (ou autres fruits) avec mes enfants … un retour aux sources indispensable à mon sens. Excitation de la récolte, bonheur de la dégustation, partage du dessert réalisé ensuite … Que de bons moments ensemble. Gorgeous images, remembrances of autumns past, picking apples in American orchards. 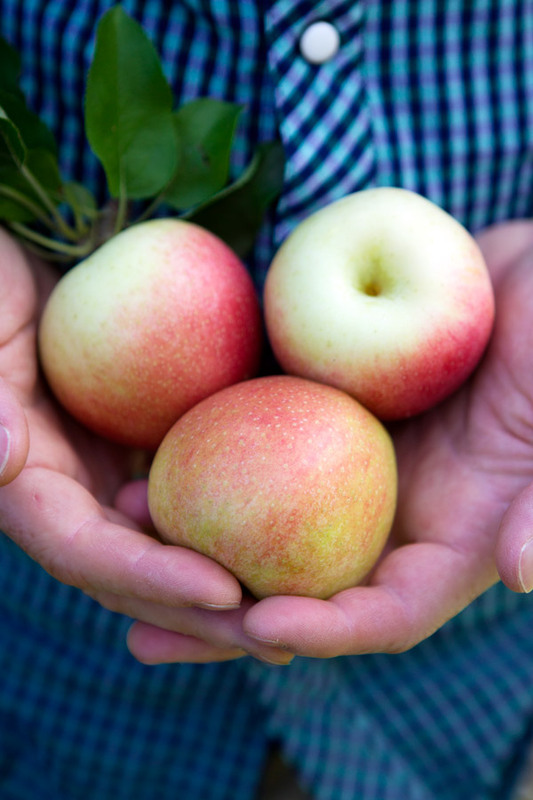 Every child should have the experience of picking apples or berries or something in the fall. We must continue to teach them to mark and celebrate our seasons. It is my favortie season. Nature shows it colors with differnent hues. And pictures come out so beautiful. Can’t wait to meet you Béa this week-end. Super excited for the course. Beautiful photos! We’re going apple picking in 2 weeks and I cannot wait! I miss apple picking – and New England – in the fall! Beautiful photos… I love fall! Lila & Lulu, as darling as their names. I now know the sheer joy of having a li’l girl! Thanks for sharing, Bea. How darling… precious moments. Thank you for sharing! So cute! Beautiful pics as always! LOVE apple picking time! the girls look so cute! beautiful 🙂 made me smile.